GENERA, the Gender Equality Network in the European Research Area, is a Horizon 2020 funded project, aiming to continue, monitor and improve the Gender Equality Plans of Research Institutions and Organisations specifically in the physics research field. These three actions will be performed by a Consortium of beneficiary partner Research Performing and Research Funding Organisations and a number of associate partners and observers between September 2015 and 31 August 2018. 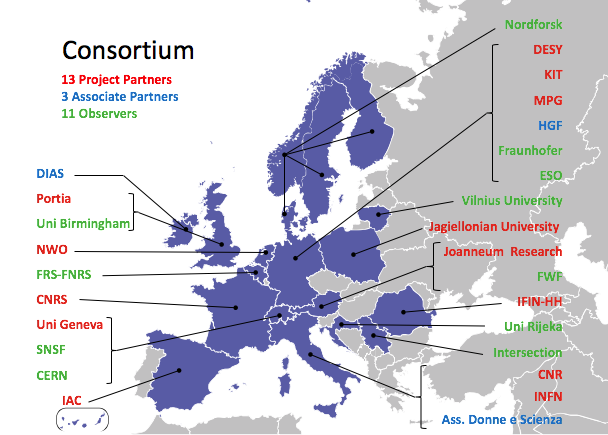 CERN became an observer partner of the GENERA project in November 2015. In January 2017, in the framework of the GENERA project, CERN joined forces with NordFosk and ESO to co-organise the fourth Gender in Physics Day held globally, at the Globe of Science and Innovation.